We are teachers, doctors, journalists, volunteers, lawyers, housewives, painters, writers, computer geeks, bankers, students, retail workers, retirees, sisters, moms, grandmas, brothers, cousins, and strangers. We are from different countries, cities, religions, races, colors, backgrounds, upbringings, morals, and beliefs. We go about the business of our daily lives just as you do. We pretend to be like you. Some of us will tell you about our history, while others never would. There are a lot of us. You probably work with or live near one of us. We are everywhere and nowhere at the same time. We walk among you, a shadowy culture whose numbers are growing. We are not so different from you. Just like you, we were born into a destiny. We realized a long time ago not to question it or try to understand it, but to simply let it be. We lived a different life before we came here, and since we cannot go back, we have made a life for ourselves here among you. We are still misunderstood, even labeled with negative terms. So, many of us do not reveal ourselves. We have come to accept that being different is not wrong, it is just who and what we are. A long time ago, I heard about some people who loved a stranger. They loved him as if he were a family member. It wasn’t a crush or some silly passing fad. I saw pictures of them screaming and passing out when he would finally come to town. Who were these people? Why did they behave this way? They were from all walks of life. They were from different countries, cities, religions, and races. They went about their daily lives just as we do now. Unless he was coming to town. When he was there, they became something else entirely. Tales of their love and the lengths to which they’d go to see him are legendary. Some people thought they were crazy. I have a picture of their arms and hands. I’ll share a picture of our arms and hands with you. Yeah, I know. I’m not comparing them. But look at the hands and arms of the fans. Do you see yours? Or mine? Do you see a ghost of your former self? We are not so different from them. Just like them, we were born into a destiny. We give our love in countless ways to a stranger because he stole our hearts without even trying. He soothed our souls when he opened his mouth and poured out the most beautiful sound we’d ever heard. I used to be a normal person. Well, kind of. You know, a wife, mom, worker, daughter, sister…then I found the Ear Candy that is The Voice. Ear Candy that morphed into Heart & Soul Candy. We ain’t even gonna talk about the Eye Candy. I try to act normal, as if I’m not holding back on planning my time off this year based upon his schedule. Not thinking about which purse I should use this spring based upon how well the paperback edition of Chords of Strength will fit in it. Not sitting at work thinking about blogs from Nascar, or maybe how dolphins look from overhead while one passes over in a blimp. 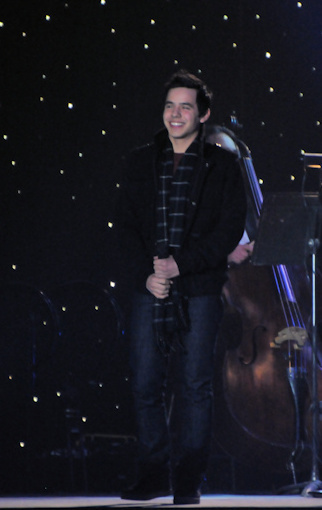 Or wondering if my Ticketmaster alert for David Archuleta is still active. 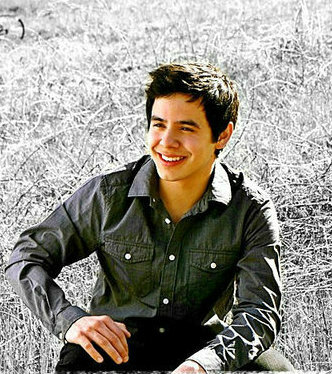 So sure that Twitter must not be working properly because I only received one tweet from @davidarchie all day! In this Post Ubiquitous Candy Era, I act normal. I try really hard to anyway. 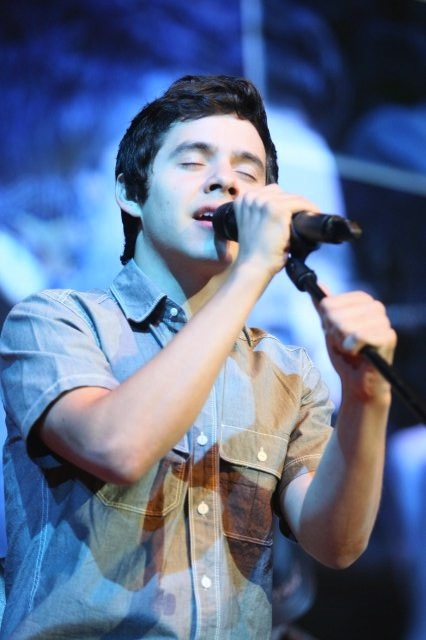 Saying things like”Those Elvis fans were crazy!” while wearing my VIP I ♥ David Archuleta t-shirt. No. They were not crazy. They be my homeys. We are not so different from you. In fact, if you know that the Squiggly Pig is copyrighted__you my friend, are one of us. 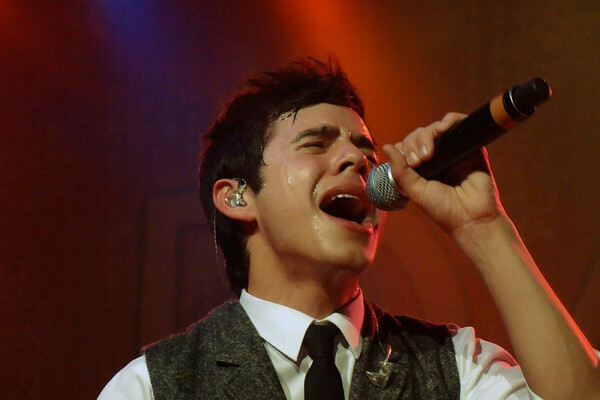 This entry was posted on Tuesday, April 5, 2011 at 2:00 AM	and is filed under David Archuleta, Editorial, fandom. 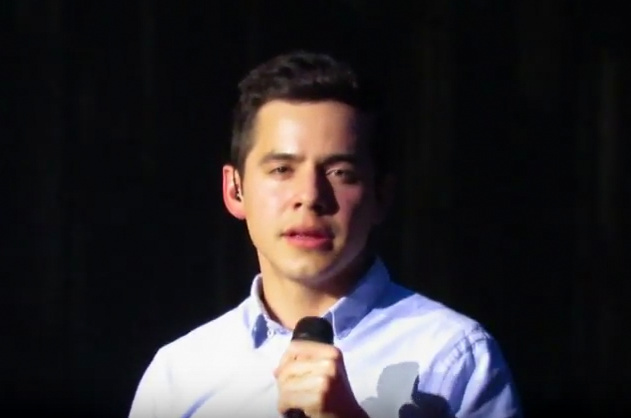 Tagged: David Archuleta, You ain't crazy you my homey. You can follow any responses to this entry through the RSS 2.0 feed. You can leave a response, or trackback from your own site. I am so thankful for the talented writers who put into words exactly what I feel in my heart – like this article! I may not post often, but I do appreciate all the amazing writers and those who comment and I never miss a word. I never would have imagined three years ago that I would not only be talking online with people I never met, but counting them as dear friends – what an unexpected blessing! We may have started out as strangers, but our love of this incredible young man has joined us in our hearts forever! BTW – these pictures – oh my! FG, did not have time to read this this morning, I did anyway, couldn’t stop…Wow! Will be back later. Interrupting for a special announcement…David will be in Delaware, I think playing basketball???!!!! Thank you for putting into words how I (we) feel. 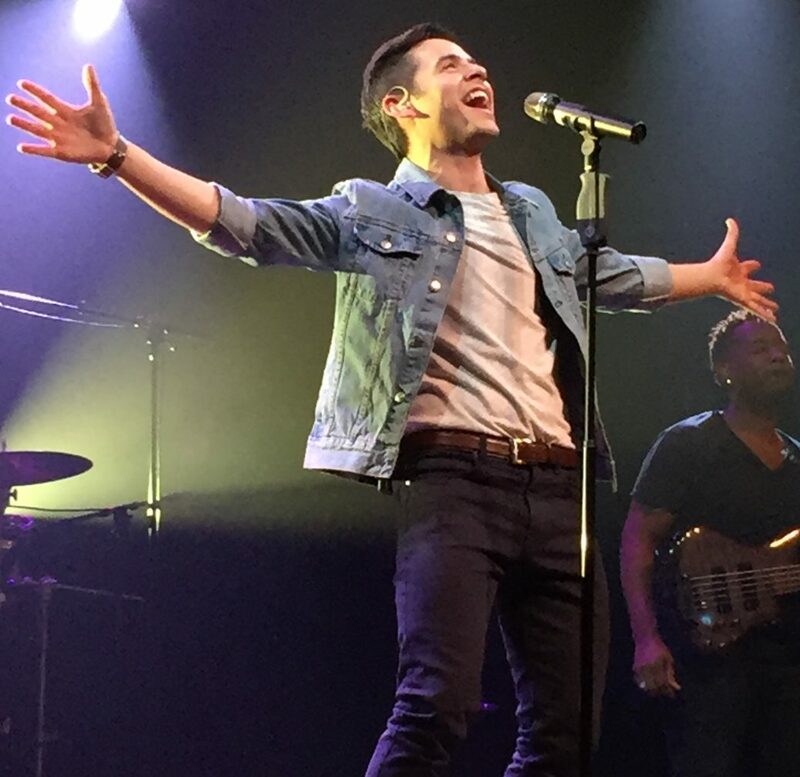 This is exactly how I feel about being a fan of David Archuleta’s…and no matter what direction David goes…I will trail along with all his other wonderful fans. Hmmm… do you guys think he was maybe scheduling this when he was practicing basketball with his mom a while back? FG, I heart you!!!! 🙂 🙂 🙂 “In fact, if you know that the Squiggly Pig is copyrighted__you my friend, are one of us” … busted! Angelica, read your amazing post and dang, late again in adding my *applause* … always love your eloquent take on all things David!!! “Just like them, we were born into a destiny. We give our love in countless ways to a stranger because he stole our hearts without even trying. He soothed our souls when he opened his mouth and poured out the most beautiful sound we’d ever heard.” <—– So true & beautifully written! Love the article and the pictures that soooo illustrate what you are saying. I Identify and gladly one that will follow David for a lifetime. Thanks FG and Angelica. FG, Very very good. You’ve written a beautiful piece of art. I knew, I’ve known for a while and wait for the day I can purchase merchandise with this beautiful squiggly pig. This from Fanscene…David will be playing!!!! Yes David will be playing in the basketball. session, so please plan to arrive on time! choose, you are able to change seating at your discretion. We look forward to seeing you at the game! WE ARE GOING TO NEED VIDEOS!!! Whoa FunnyGirl! You get us! We walk alone and in each other’s company. To be alone in this fandom is not easy. Long ago it was suggested that everyone buddy up and get a fan partner because we need an outlet for our ODD. And boy does it help! I saw Elvis in concert once with a friend who was a diehard fan. She had two tickets and begged me to go with her. I was not a fan and just went for the music. I was blown away by his talent, all the fans and yes, the hands reaching for him from the audience! I’m sure the same has been is said by those who are dragged by friends to one of David’s shows. I really loved your article! Thank you! Bebe #16 Where in the heck did you find that photo of David? That’s a saver. Speaking of “Eye Candy”. Loved this article about David and his fans. I actually got emotional while reading it. It’s so wonderful to have people that truly understand what we have been going through and then write about it in such a beautiful way. No one understands us as much as someone who is going through the same experience. 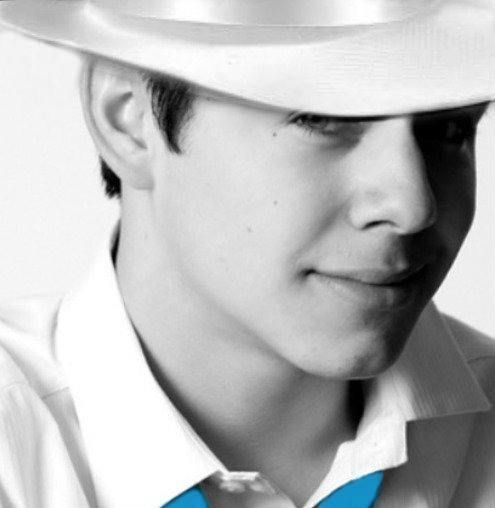 I am so glad to have thie site to share my love for an amazing singer and person. I was a huge fan of Elvis too. I was fifteen when I saw him perform live. He had an aura like David that just drew you into his world and made you feel something that you hadn’t felt before. It was a new kind of happyness. Now David does this and I am so thankful to have him in my life. I pray that God will continue to protect and keep him safe. FG – Amazing article. I went to see Elvis when I was 16, back in the 50’s. I didn’t understand why everyone was screaming. I wanted them to shut up so I could hear. I don’t think I heard one note of anything he sang. I just didn’t get it. Now, here I am all these years later, following a young man the same age as my grandson, and I get it. When he sang Love Me Tender on Idol, I felt like I was watching a young Elvis. He just has that same indescribable quality, but you can’t make those who don’t get it, understand. My friends and family think I’m nuts. I don’t really care. I will follow David and his music till the day I die, and feel blessed to do so. I have never understood why people scream, well that is until now. #20 djafan – The thing with Elvis is, I wasn’t a fan of his, like I am of David’s. I’ve never been to one of David’s full concerts, only a little radio promotion in Louisville where he only sang 4 songs and there were other performers on the program. So, I’ve never really experienced the full impact of one of his concerts. If I ever get to go to one, I may jump, scream and do all sorts of things that my family would commit me for if they found out. “We lived a different life before we came here, and since we cannot go back, we have made a life for ourselves here among you.” so true FG,and I wouldn’t go back for anything. 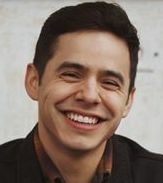 I can no longer imagine what life would be like without the song in my heart, that is David Archuleta.He brings such unadulterated joy into each day, I no longer question why. To be able to share that joy with others (you guys♥) is so refreshing and wonderful.I don’t think it is just a fluke we have crossed paths with David, or each other…if only for a brief moment, or for the duration of ♥this♥ singer’s career we have been blessed with special moments, made new friends, and reached out to others,accomplishing some really good things, all because of David, and there ain’t nothin’ wrong with that! you have outdone yourself! This reaffirms again why I love being in this mad, mad davidworld. Starting with him trickling down through his fandom, it is such a warm and feel-good place. Anyone here live in or close enough to Delaware to go to the basketball game? now we’re talkin’! thanks Bebe! Ha, Ha—–I’m laughing out loud right now——awesome, wonderful, fantabulous, writing FG. I felt you wrote it just for ME, because every word expressess just how I feel. EVERY WORD! So funny. I was too young to appreciate Elvis, and I never in a million years thought I would be a die-hard, insane, over-the-top maniac about ANYONE, especially a young man who could be my SON, for heaven’s sake! And, who would have thunk that I would be “talking” to so many unknown, faceless people out there in whereever land? I was always considered the level-headed one. Well, adios to my level-headed world. Having way too much fun, now. Thank you, David, and everyone here at The Voice. I will forever be grateful! Wow, this describes me too. I never thought I’d be a die-hard fan like this either. Of course I know about the copy righted squiggly pig! Every time I think that there won’t be anything to read on the David fan sites I find great articles like this, and David is going to be playing basketball at a Celebrity Basketball game. Who would have guessed?! How perfectly you’ve described me, FG. It took me until I was waaaaayyyyy past my teenage years, and into my years of being a grandma, that I finally appreciated Elvis. I didn’t ‘get’ him, although I kind of liked him, when I was younger. I now own a ton of his cd’s. I’m just so thankful that I’m on this David train from the beginning. I just can’t imagine not being here. It’s so much fun, so insane, and so rewarding!! He’s ‘made’ me change habits, parts of my lifestyle, and so many ways of looking at life. It’s so fun to know that I’m not alone on this ride. It’s so good to be able to come here each day and find that so many others are by my cyber-side. bebe!! you must stop posting that photo!! one more time of scrolling down and having it come into view is gonna put me down!!!! but then, please don’t–it’s gorgeous!! 😛 What I wouldn’t give to have been the one to snap that photo in real life! Love the post, love all the comments that says exactly the way I feel. Only you all can say it better. I”m old enough to have started out with Elvis. Even tho I loved his singing and bought just about every album and have posters, etc…there is something more special about David. The last 3 yrs have been a blast. Only seen Elvis 2 times in concert and so far, I’ve seen David perform 8 times, live, in just 3 short yrs. Yes, I have posters, autographs, pictures, (have an album of almost 500 pictures that I have taken at his concerts) COS books, all my stuff from the VIP’s….enough that my kids think that I’m “obsessive”!! Imagine that! lol All I know is that he took me back to being “18 again” and love it. I will travel and see him if I want to, as long as I can. Don’t know what tomorrow will bring. I’ve seen him in Vegas, Utah, OKC, Wichita and my home town, KC. Want to go to the SOF in July, but being a holiday, so far, I can’t. I’m waiting til the last minute and if I can, I’ll be there. I may be nuts, but I’m happy!! oh that picture in #16, David plz make that twitter pic! The Mona Lisa painting by Leonardo Da Vince was his masterpiece. 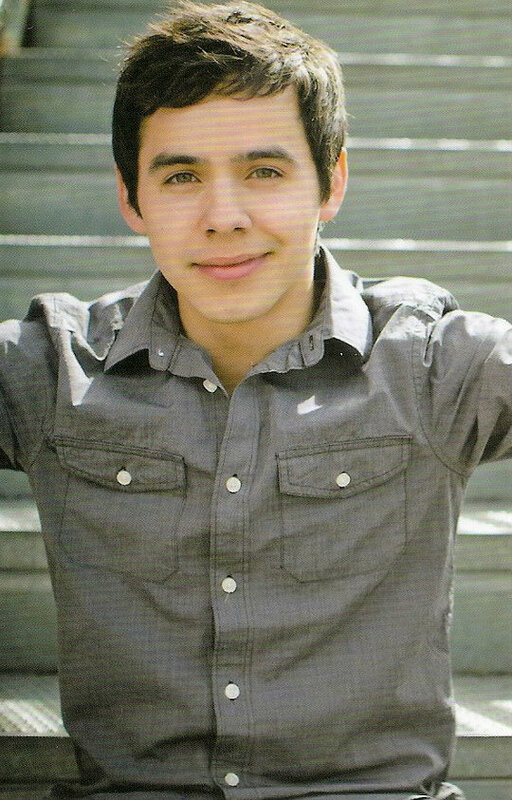 The photo of David Archuleta #16 shows one of God’s greatest masterpieces. Corny aren’t I. But seriously? Angelica David, someone we feel we know and know we love….. perfect. If anyone ever saw that one, they will remember it. That’s some fine writing, FG. Ahhh, Bebe#39, such a great way to end the day. FG, what a great post. Absolutely “ditto” on everything you said. It’s so nice once in a while to be reminded that you’re not totally crazy…and that there are other “totally normal” people out there that feel the way you do. And woah, did I really read that whole Duffy event correctly?…is he really going to be PLAYING basketball, not just singing the National Anthem or making an appearance or something? I know David is a total ninja, and continually surprises us with talents we never knew he had…but does anyone know if he actually plays basketball? And perhaps the bigger question is, will he actually wear shorts! I look back in time, and see a lady dressed in very serious clothes. Her life was her work and her family. Working from 9am to 7pm. After returning home, having a family dinner and the next day the same, for years it was the daily routine. Until a certain day in February 2008, something lit up her life, something bright. Gray colors disappeared. Now, today, every day I discover new colors. That lady does not use dark colored clothing. Her favorite colors are green in all shades. This lady was awakened at 3am to see David sing Crush for the first time on The Jay Leno Show. I could name many things that happened during these 3 glorious years. Now I understand the people who cry during concerts, but as I watch these people, I wonder what is the reason for their tears or hysteria. I saw it as silly, but now I understand. I understand their feelings, understand their reactions, I understand your hysteria, I now understand many things. That lady is gone and in her place are several people, Gladys jeans, gladiola, gladys mic and I hope that the future has many more Gladys’. I do not know what my reaction will be if I see David in concert. Mourn the emotion would be a logical answer, faint, with a smile on my face, it is also acceptable. But if I try to jump onstage to look very closely at David (is a polite way of describing the situation) will the authorities have to arrest me? . Girls of The Voice, Will any of you pay my bail? my god, holy jumping eyes. 2nd NASCAR PRESSCON VID now up thanks to AccuVision! Isn’t that the same video that Bebe posted in #41? Being a fan of David has flipped a switch on my way-back machine. It has transported me back to the youthful excitement I had lost. The friends I have made since becoming a fan are now as close to me heart as the friends who I see every day. Fg, I enjoyed your article so very much seeing David in the same light as other great ones who have gone on before him. I am so pleased that David has this new beginning. I have waited eagerly for the day that we would see the end of any influences that have had David making decisions other than what he would choose for himself. We have a new beginning with him as well and that’s exciting. Now we will see just David, no strings attached. I believe that everyone must feel his freedom like an enormous breath of fresh air. A few of the talk show hosts are retiring or changing hands. Some have been like a thorn in the side and some like Larry King have been enjoyable. So cheers to all of those new beginnings. Gladys #42, that could/should have been an article. Lovely to read! I agree with my pal SB. You are so eloquent when you speak about your David experience. Abrra…but this is a new beginning so you never know. I am 70/30 that he will wear shorts ‘if most everyone else does of course’. Glaadys, you make me heart go boom! It will happen for you someday, it will align for you. Somehow. Kaycee, I keep wondering bout the band too. Since he was so determined to get one that really inspired him to try different things it makes me wonder if it is on a more permanent basis. But you have to have gigs to keep a band. Idk, but his first performance can’t get here soon enough. #46 ♥ “Aren’t we supposed to be jealous?”…LOL!!!! Hello Everyone! It’s been a long 3 months away from The Voice, recuperating from my lung surgery. I also just finished my first round of chemo (out of four)—-but I’m back here now and really feeling sooo well right now, today! Shawna had to keep me up on everything David because it was so long before I could get back to my computer and The Voice. I have finally caught up on all the wonderful articles here and when I read this one by FG this morning I just had to thank her for getting the juices going again by posting the picture of David with all the hands outstretched. I have been close to the stage like that at one of David’s concerts and I will truly never get over it. Haven’t we all discovered that age has nothing to do with it. Someone said here that they feel like they are 18 years old again—-ditto! I love that David is back in LA again, rehearsing with his band. I can’t believe that I live right here in Utah and can’t go to the Stadium of Fire for the 4th of July!! Our family is in charge of a family reunion that weekend and some will be coming as far away as New York City. I just can’t see myself slipping away for a few hours. tee hee Oh well, can’t wait to see videos. Please know how much I appreciate everyone here—your love, support, and prayers in my behalf have meant everything to me. Good to see you here. Pattirae. You have been in my thoughts and prayers. Wish you well on your continued recovery. It is so wonderful to have you back ! I have followed your journey at the Caring Bridge blog. After reading your comment today, I thought that if you were my relative and wanted to take a few hours put of a very long day to see David, I would drive you there myself. You have been through so much , you deserve to enjoy SOF. I bet no one at the gathering would mind. If the shorts go to the knees then I’ll bet he wears them. Pattirae, welcome back!! You are indeed a woman of substance!! I am so happy that you are feeling well. 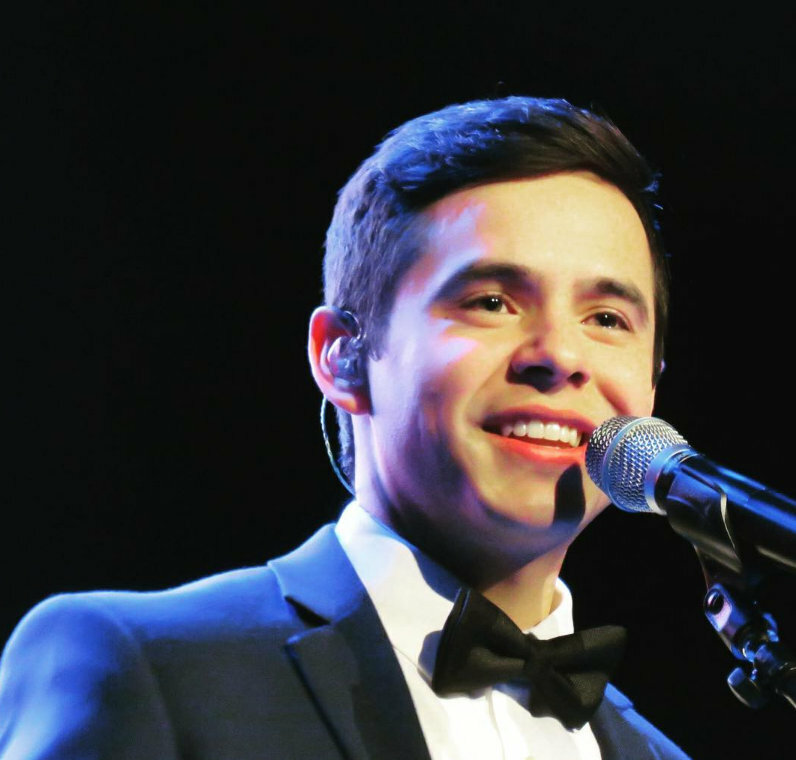 Catching up on all the beautiful David pictures and exciting news is sure to give you a dose of good medicine. You continue to be in many thoughts and prayers. I too, have followed your journey at Caring Bridge. so good to see your post here today! SB, I watched a video of one of the basketball games for this event(2008). It was held inside/gym. Welcome back!! I’ve been keeping you in my prayers and keeping up with the Caring Bridge journal entries. You have overcome so much in such a gracious, positive way. What an inspiration you are! So good to see you here again! I know you are coming back tomorrow morning from your trip to the water park. Will be back later to comment on your wonderful article. Hope you’re having a blast! Pattirae: I too have been thinking about you. So glad you’re up to catching up on all things David! Will continue to keep you in my thoughts and prayers. SandyBeaches#47: Hear, hear! To new beginnings! Pattirae#53 You’re a breath of fresh air! Thanks for staying in touch with us on Caring Bridge and through Shawna. You’re always in my thoughts and prayers. If you’re able, I hope you reconsider and go to the Stadium of Fire event. 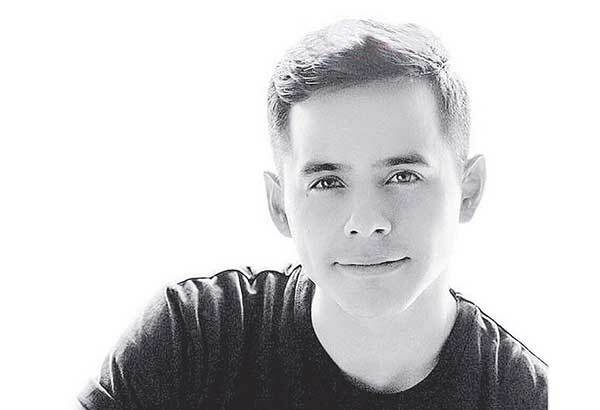 You’ve been through a lot and a dose of David will surely do any of us good! Best wishes for continued progress. The other thing I wondered about was if they gave “uniforms” to the “players”. That may be interesting. We all know how hansom David looks in sports clothing. Forgot to say, skydancer, I love your fangirling! Pattirae–You don’t know me from Adam, but I too,have followed your journey on Caring Bridge, and have been pulling for you every inch of the way. I’m so happy everything is working out. Then a couple of weeks later, that bad boy reached out again and took a big chunk of my heart right out of my chest! But, I have since forgiven him, because he replaced all that moldy old stuffing and the gaping hole in my heart with happiness-joy-love-new friends-anticipation-and a new way of looking at life. And it isn’t over , there are many good things still to come. Ran across this video today ( I will confess , here and now, that I didn’t really like Elevator when he first sang it–but this version changed my mind, it’s David cuttin loose! Abrra Admin edit: Dakgal It’s not your fault the video did not embed. I tried your link and another one, both failed. Something is messed up that I can’t figure out. BUT, I did notice you copied the URL and not the Shared link. Always click share below the video and copy that link. Then paste it into you comment. Pattirae, you don’t know me either, but you have also been on my prayer list. Praise God you are doing better. 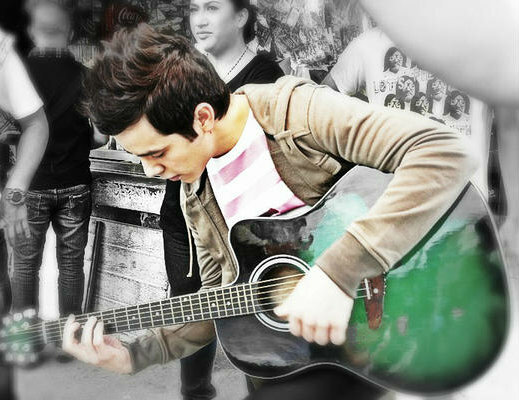 MrsArchieCepeda made this desktop wallpaper using THE best picture of David eveah!!! Dakgal, your bunny avi is too cute! Pattirae…welcome back! We have thought of you often. So glad that you’re doing better. I love coming here after a long day at work, after the kids are in bed…it’s a nice relaxing time to catch up on everything and wind down. My late night “Voice therapy sessions” have been getting a bit shorter lately…David, throw us a few crumbs to talk about! I’m sure there is a lot going on behind the scenes–just give us a peak! Oh well, looking on the bright side (you know, the other side of down), with less news to catch up on, I’ll get a bit more sleep! Dakgal #68 Loved your description! When you first sent this article to me, originally entitled. “We Walk Among You”, it was extremely serious. Too serious, I thought, so I told you to write another draft and make it funny. You happily complied and I used both, and the resulting work is so much greater than the sum of its opposing parts. The two points of view meshed so seamlessly and illustrated the isolation of being a fan of David as well as the joy, which in the end is worth all we do to follow and support him. In a way, we have no choice, as you say. “We were born into a destiny.” I never thought I would be a fan of anyone like this but the idea of ever walking away is not even conceivable to me. Yet this is so out of character from everything that went before in my life. How strange to find out relatively late in life when no surprises were supposed to remain, that the best was saved for last. Sometimes I think my life can be separated into before David and after David. What was it like then? I hardly remember the old self that woke up each day with no thought for anything except work or errands and no song in my head or thoughts or worries about him. Now its just a part of me, like breathing. Where once there was just one, now there are two, if that doesn’t sound too creepy. He is in my head so many times throughout the day, never very far from my concern and love. I don’t know how to explain it but like you say, “We realized a long time ago not to question it or try to understand it, but to simply let it be. We lived a different life before we came here, and since we cannot go back…” I can not go back; I am convinced of that because how do you remove him from your heart and mind like a habit you can just break or an article of clothing you can simply discard for another? Why would I want to when life is so much richer by the things I’ve learned and experienced and the people I’ve met? Then there is the phenomenon of the man himself on and off stage that keeps me riveted to this existence. But the indisputable truth as you point out, is that many of us exist as a “shadow culture” within our worlds. 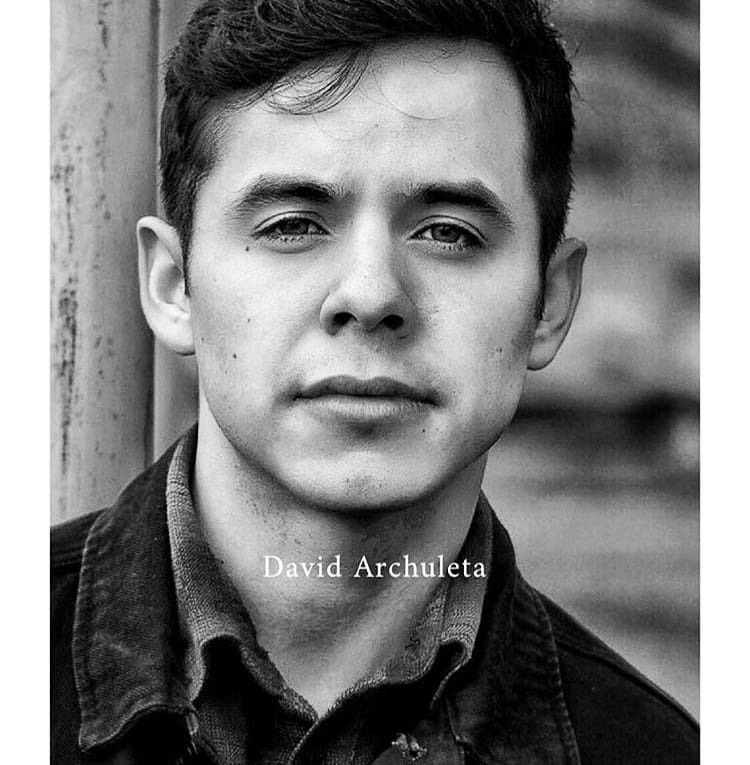 I am Angelica online who runs a fansite for David Archuleta but in “real life” no one knows me as that. No one knows me as the person who learned to write because of him, except my husband and immediate family and closest friends. So in a very real way, most people I interact with don’t know me at all and even those who do know about my new found “hobby” don’t consider it worthwhile or anything but strange in an amusing sort of way. I’m not complaining, I’m just pointing out a big truth that your article uncovers, that we really do lead separate, dual lives, one life with our fan friends and one with the rest of the world. They rarely meet. I’m not resentful, in fact, in a way I pity that other world which I inhabit but not completely anymore. I can come and go but they are stuck in that one place where the Voice is not heard and so much joy is forfeited. Anyway, thank you Funny Girl, for another wonderful post full of profound seriousness and intelligent wit that makes us think while it makes us laugh and taken altogether, makes for a very good read. Angelica, Here, among you is the only place I can openly speak all things David. You have described me and probably many others. It may vary in the details but the one constant is our love and concern for David, the admiration is beyond comprehension. David brought the color back into my world, I could never go back. Pattierae, welcome back! It is so good to hear from you! “Now its just a part of me, like breathing.” Angelica. This is the part that is so hard for people to understand, yet should be the easiest. Anyone who’s ever loved anyone knows what it feels like. No matter what kind of love it is. No matter the distance or the rational mind telling them no. That Love me Tender video…I still can’t get over the “all my dreams fufillhmmmd” and the “I love you yeaaahhh” Two of my fave David moments ever. Just guh. I remember almost two years ago now when I was talking about Elvis and David to Abrra and she said that she had been also thinking for some time about writing an article about the two of them, but kindly handed the reins to me to go ahead and write as I had wished. I wrote about the two of them being revolunaries in their time so it was completely different from this article. But I had a rediscovery last evening when I was looking around for more interesting stories to read about David. I went to ‘The David Chronicles’ and looked at the list of contributing writers and guest writers. I was fortunate to be a guest writer as I had never written anything for a site before. Wow, there is an extensive list of wonderful writers posted there. We had some very exciting times and I suppose it was inevitable that a powerhouse of writers would eventually venture out onto their own as people do. It was of course a bit of a trip going down memory lane reading comments from: HG, Freofan, Bliss, Kizzi,Happy, MomjJulee, joymus, raelovingangels, Desertrat, pabuckie and so many more! Not to forget those of us from this site including our present article writer FunnyGirl! It was interesting to look back at us then. Marlie7 and Jackryan4DA are keeping the site updated with the news and videos but also the site is a wonderful library of stories and videos that we have not seen in a very long time. I posted this once on TDC and there were some tears from some who watched it as we do on occasion. 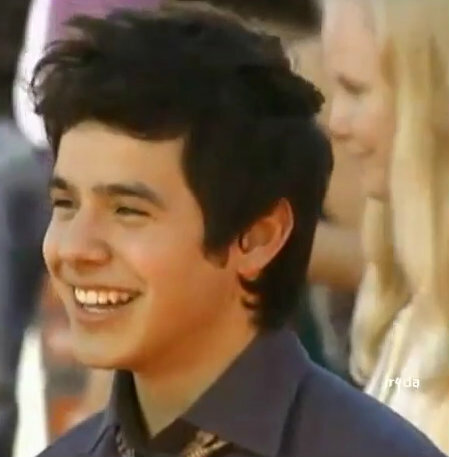 We are just such a proud bunch of David fans! FG; Your post so beautifully captures who I am as a fan of David and I am so thankful to be part of this supportive community, crazy or not. Love this -> Ear candy, heart and soul candy, eye candy … I think my sweet tooth has finally met its match! Angelica; # 74 … I have reconciled the fact that there will be critics, skeptics, and scoffers but I choose to look at the positive of being a fan and being proud for the reasons that I’ve become devoted in supporting this incredible young man. Angelica; I can relate to living in two worlds as well. My daily life and my David life. Like you, no one will identify the two together but in reality the two worlds interact on a daily basis as the unexpected gift of being a fan is how David has touched and affected my life and as a result I want to share that joy, positivity and in any small way, try to make a difference in this world. Being a fan has changed me for the better and I still can’t believe how this has happened but knowing that I am not alone has made this journey even sweeter. Pattirae; So glad to know that you are feeling better … I am touched by your courageous fight and as you continue to recover, wish that each day brings strength, joy and hope. Oh FG, I had to laugh when I read about planning our time off to match David’s schedule. At the beginning of the year my boss asked me to let him know what days I would be wanting off. I told him I wouldn’t know until David’s concert schedule was announced. I could see the thought process in my boss’s face. “Is she serious? I think so. Is she nuts? I think so. How do I handle this? I don’t know.” Every few weeks he would ask about David’s schedule. When I emailed him that I would take off the first week in April, he burst into my office. “Is David coming?” A bit of a letdown to explain I was visiting family. Oh, well. I know that concert is coming. Some time. Pattirae, so good to hear from you. What a pleasant surprise to see your post. Love the frog. TY. And Love Me Tender is just too much. At the very end of the video he returns from that “other place” he goes to when he sings. 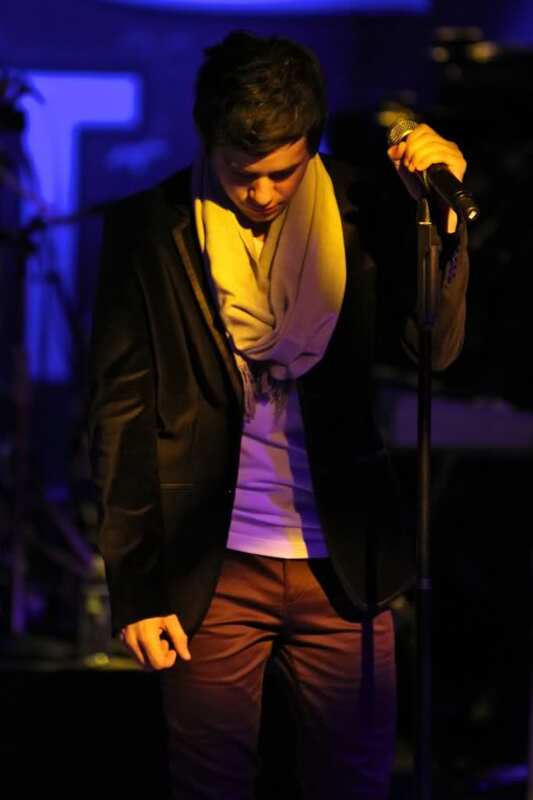 He just looks so purely vulnerable. Makes me wish I could give him a hug. I was listening to a morning talk show on the radio in DFW,(KLIF.com)just 20 minutes ago… where the host of the show has been near the epicenter of the 3/11 earthquake,in NE Japan for the past 3 days. As he was broadcasting they experienced a 7.4, one minute or so earthquake, and there has been a tsunami warning issued once again.Around 9:40am,central time. Sky, Oh no! Going to check the news sites now. God bless them. Sky #83—ck’d the news –thankful that there was no further damage and no tsunami. What if David were the referee and sang all his calls. Like a “double dribble” sung to the chorus of Hallelujah. 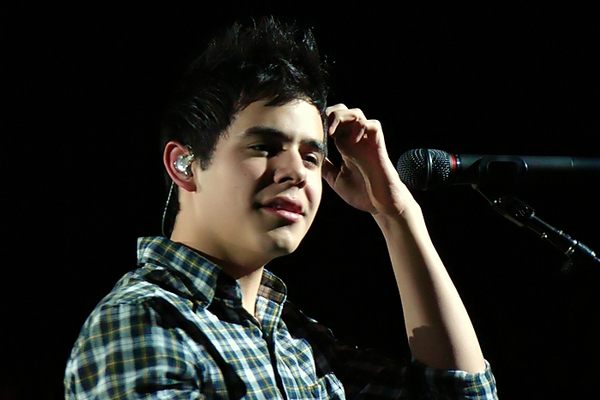 David always has a song on the tip of his tongue, so I’m sure he would come up with some great ones! Love these little faces–I shall try to restrain myself on usage. Vote for David here! Bo Bice is catching up…what the heck?! 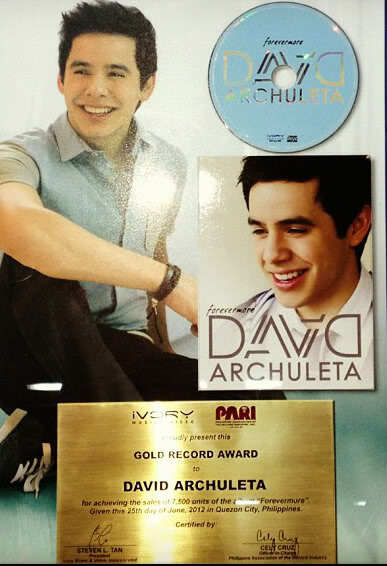 David Archuleta Won Teen Icon @ Barkada Choice Award 2011 ! Love all the video they showed if David and they showed and read his tweet to them!!! 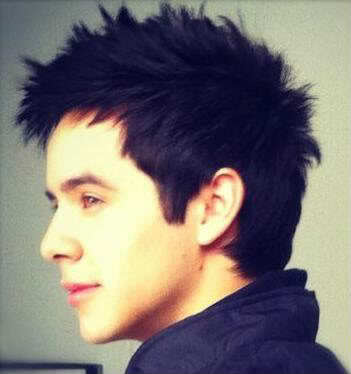 Can I just state the obvious…David is such a breath of fresh air! He can find the silver lining in absolutely everything…even allergies! Kaycee#81 Beautiful lyrics to “For Good” and so appropriate! Thanks for bringing them here! A few goodies for us! FG – such a great article & the timing is perfect. At a time when so little is out there to celebrate & boost one’s support of DA, I sometimes question my addiction. This has helped to reaffirm my belief that it is destiny. I am bringing this over from FOD…Please be patient while it BUFFERS..
Pattirae – like many in Archuland, I have followed your road to recovery. It was great to see your post this morning. Though I have never met you, I have felt your strength & giving heart. If wishes could be granted, I wish you would give yourself SOF attendance. I’m sure your relatives would want that for you. Hey, I really just wanted to bring you something absolutely wonderful once, even if it is just for a short time. I am certain that there will be a gifting project for this, or draws or something because the DVD will be beautiful…Watch for the smiles and the sparkle in his eyes. Oh SB! Thank you! I watched the MoTab clip four times and am going in once more. It’s just magical. The way he closed his eyes at the end of the word ‘love’. His voice is absolutely heavenly! You made my day!! Bebe…Please tell me that you went full screen too!!? Just fabulous full screen! this site should be banned from the internet,all those pictures and vidios of that 12 year old ugly kid on here is not good fot the heart you know,hehehe lol,scare you to death. I don’t want to wish my days away but I need that DVD asap! Thank you SB for bringing the link, it brings back such out of this world memories! Fixed the video link in #98 by going to the Youtube and copying the browser link at the top of the page. Anytime a shared link shows the shortened version with large fonts, it will not embed. Use the link at the top . Dja…It will be a beautiful DVD. Just imagine watching the full songs. They were so good because he was so happy. He loves Christmas and loves performing Christmas carols. Just being the guest performer had him on top of the world. SB – Thanks for the Motab link. But I don’t see an option for full screen. How did you do it? SB: Full screen? Huh? I don’t see a way to do that. What did you click to get full screen? I’m on my 23rd time but who’s counting? #103. What a thoughtful way to let me know. Thanks. wow! so many goodies here tonight! A virtual buffet, and I am so ready to pig-out! I love that video of Elevator. At the end when he says ” Alright! so there’s Elevator for you guys!” That look on his face with that grin, cause he KNOWS he just slayed all of us with that performance! ok, more video viewing now, back later. I want to tell you, it felt strange to have turned on my radio at the time I did, LIVE from Japan…I mean, within seconds of the quake happening this morning. Eerie. Bebe and Betsy…Full screen is on the bottom right of the little screen that pops up first…a square with an arrow in it. Thanks, SB. The video defaulted to Quicktime and there’s no prompt for full screen there. Guess I’ll have to wait for the DVD. This is all you guys’ fault. Look what you started. lol. I’ve been in Cleveland the day after the CFTH concert at the matinee showing of Wicked for the past hour. Thanks. You are both so right about what being of fan of David has meant to so many of us. Angelica and Archangel48…thanks for posting the awesome videos of “For Good”! I have always loved those beautiful lyrics, but hadn’t listened to them in a while. I had forgotten how truly moving they are…and was surprised at how well they represent our feelings about David. How could I have missed that video of David singing the song?! When my oldest daughter turned 16, we drove up to New York City and saw “Wicked”. She was really into musical theater and knew every note of that soundtrack before ever even seeing the show. I remember turning to her after that song and seeing the tears just flowing down her cheeks as she was so moved. She is now off at college finishing up a degree in music education. Like David, she has always felt the power in music, and wants to share that passion with children. She has always admired the way that David really “gets music”. I’m dying to know what songs David is singing in the top two gifs on #90. Anyone know? Kaycee, the first gif is Barriers from San Diego Del Mar concert, I was there and when he sang “Heyyyeee, munamup boomboom” my knees buckled. He had just returned from the UK and came back with some very visible confidence. Here’s a mgr of it. You can see it at the 2.30 mark. 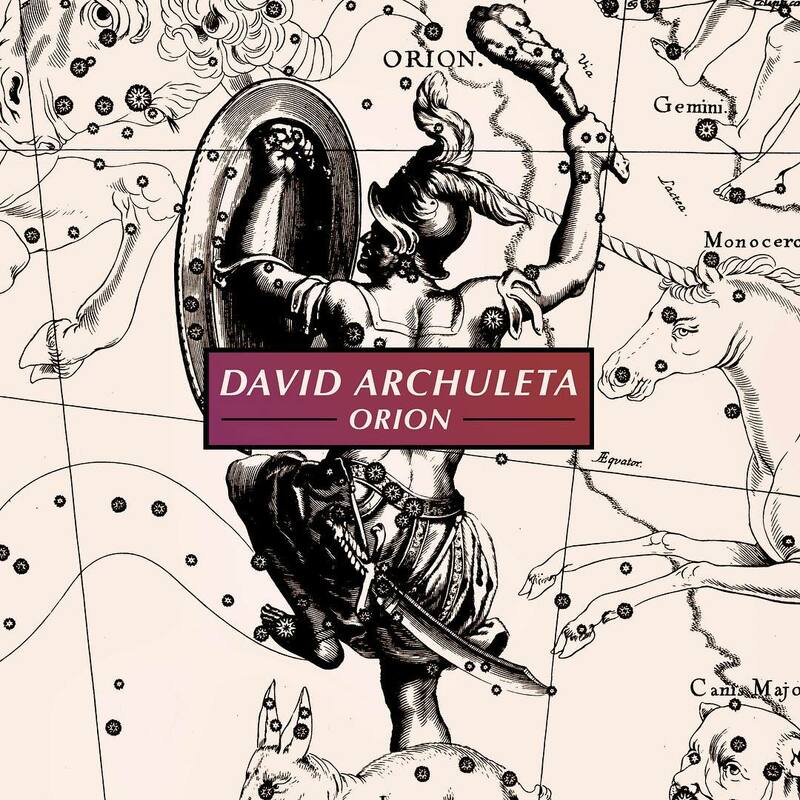 Archangel48; #98; Angelica #111; Kaycee; #112 … Thank you for sharing the moving lyrics and video of “For Good” which I had never heard before and to know that David had sung it in the past made it even more special. 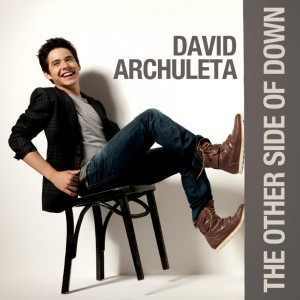 Oh, if David would ever cover this song again, he will surely do me in. Kaycee; … How awesome that your daughter is blessed with the gift of music and that she wants “to share that passion with children” in music education. I think back to my younger years and will always be grateful for my music teacher whose encouragement, enthusiasm and love for music inspired me to believe that I could achieve whatever goals I had. 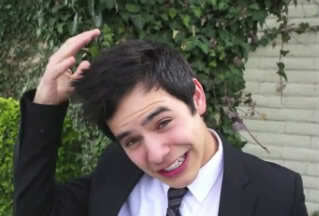 Funny how David rambles even in Spanish, he-he. FG – I have always been a fan of your writing. I like the balance humor & sincerity in your article. Thanks! I mean for him to even ask if David is coming! Bahahahaha. Such acceptance. I think he recognized that he cannot fight it so he must work with it. Congrats for having a wise boss. The Motab DVD shall be in HD? JR, thanks for Dayzee’s hysterical post. LOL! How did I miss that! How do I dismantle the replay button? David tweeted late about band rehearsals and is up tweeting food! WesupportTOSOD has been trending in Indonesia for hours now. I really admire their resolve and love. Hope David goes and gives them a full out concert soon. JR #117..back on over to TDC! Thanks Abs–my favorite thing to see when I come to the site–the man of a thousand faces–second down from the left– set my heart aflutter. I want to address something a little late–in the first NASCAR interview ( I shall try to post it) the blond lady in the corner–OMG does she know how lucky she is, she gets to just stand there for the whole interview and just stare at him for almost 3 1/2 minutes–and she acts bored ( is she sick?) 😕 I think she’s even breathing ( how can that be?) 😯 All I could think of was I WANT TO BE HER!!! Love to know what she was thinking–I know trying not to act like a cougar, but screaming on the inside, unless she isn’t human! Ha Ha Angelica –I saw that too but forgot about it–the little sneak–roaming eyes–I want to slap her-but I’m too nice! Dak, I observed the complete opposite. I thought she was going to pounce on him any second, she didn’t take her eyes off of him but maybe to blink. Could you believe that David’s , Wesupporttosod is still trending in Indonesia! I hope David sees. 133. Dja, I agree, she was focused in on him like a laser beam! Good grief! 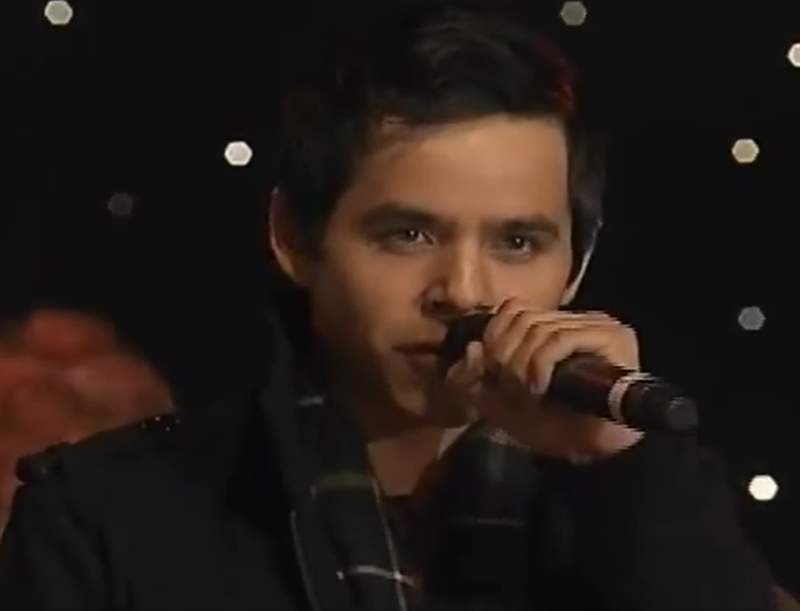 No reaction to what David is saying…just staring at him. Then the up and down look. she kind of scares me!hope I don’t look like that, when I am looking haha…wait till she sees herself! Dak, I can see you now… stylin’ in your mirrored shades, and a bib.HA! Tawna, will need to check that out.